Lawn care industry veteran Bill Leuenberger, soil and turf department manager for Wilmette, Ill.-based Chalet, will retire on March 11. 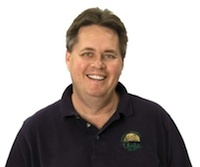 Leuenberger sold his company Lawngevity to Chalet in 1992, then joined the company to launch its lawn care division, which he and his team grew to several thousand customers. He had previously worked for Chalet from 1982 to 1984, worked in construction, operated a small nursery in California and was mostly self-taught. A founder of the Illinois Professional Lawn Care Association (IPLCA), Leuenberger is a past president and board member. He has also served as a peer mentor through the Trailblazer program of the National Association of Landscape Professionals (formerly PLANET).